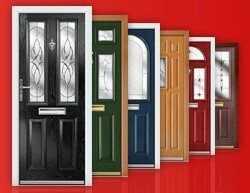 Welcome We specialise on windows and doors because this is what we are the BEST at. We have five very experienced window installers who have over 40 years experience between them. They are fully employed and have been trained to be conscientious and more than willing to do anything the customer requires. Windows Unique in design, our sculptured style of window offers you softer, curved lines that compliment every type of home, from terraced to detached, modern to period property. We also offer a fully chamfered style of window designed to recreate the traditional putty lines of timber profiles. With a sleek, modern feel, high quality manufacture, and improved security, our windows will enhance any style of home. The chamfered style is manufactured to the same high quality standard as all sculptured windows, with the same security, noise reduction, and heating performance. A full range of bays, bows, arches, and circular windows are available with Chamfered and Sculptured designs. A range of traditional glazing options add character to your window with a choice from: Georgian effect glazing bars, diamond and square leaded, flowered and coloured patterns, which all bring a sense of individuality to your home. With all our windows, we ensure they are double glazed and made from uPVC, maintaining the warmth of your home and increasing security. Double-glazing offers a plethora of advantages for homeowners; it keeps the heat in, the noise out, and allows you to use less energy within your home. With a range of options available and a professional fitting service, Sovereign windows can give your home a new lease of life. 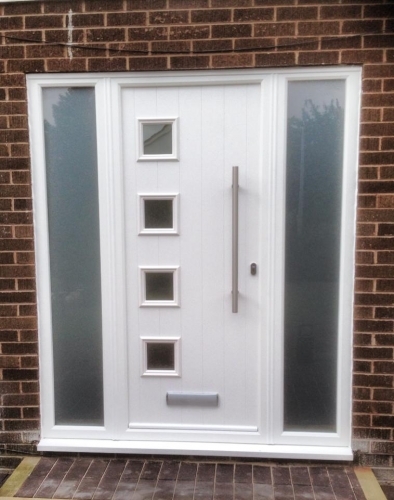 Doors Everyone knows that creating a great first impression counts and what better way to make a positive statement, as well as securing your home against weather and intruders, than with one of our wide range of residential doors. 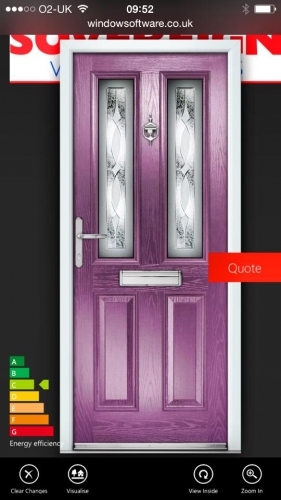 With a comprehensive variety of ornamental infill panels and uPVC coloured doors, with a choice of 7 colours, we are sure to have the perfect door to give you home that special entrance. Bi Folding Doors Our panoramic bi-folding doors are made with ultra slim frames and clean lines, bringing you the space, comfort and low-maintenance luxury of modern living. They can boost the character of a home and become an eye-catching centrepiece for your garden. 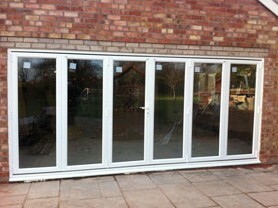 Bi-folding doors are a great use of large spaces, brightening up your garden or conservatory. The large glass panes allow a great view out into the garden, and also allow plenty of natural light into the house, giving it a lift. These doors can be designed to fit virtually any space, from just a few door panes to a whole wall's width. They are available in a variety of configurations; giving you the freedom to create the folding doors you want in your home. 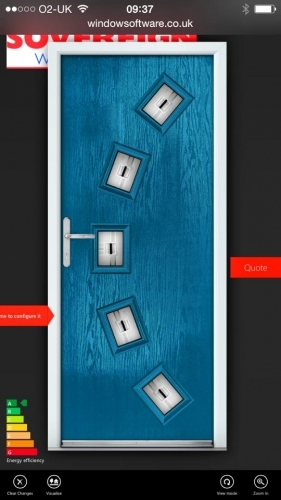 Composite Doors The most recent design of doors, composite doors are made with a variety of materials to bridge the gap between traditional wood doors and modern uPVC doors. 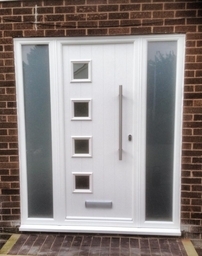 These doors are created using a combination of wood, uPVC, GRP (Glass Reinforced Plastic), and foam insulation to construct a door that addresses the issues facing other door types. This combination of materials makes composite doors strong, secure, and resistant to weathering. The balance of wood and uPVC elements creates an optimal level of sturdiness and stability, whilst not making the doors too heavy. The foam allows a good level of insulation within the doors, whilst the GRP gives it a wood effect face that doesn't warp or weather. 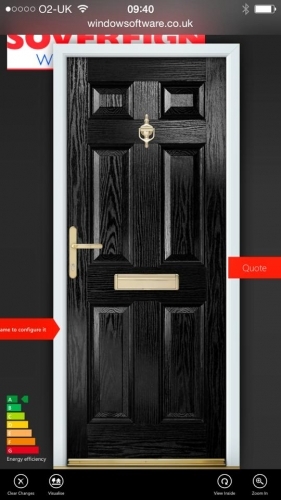 Composite doors are available in seven standard door colour combinations: white, black, red, blue, green, rosewood and golden oak. The 70mm Outer Frame is also available in five standard colour combinations: white, rosewood & rosewood on white, golden oak & golden oak on white. French Doors French doors offer a different option for both interior and exterior doorways. Using a large glass pane on each side, French doors brighten up the home, allowing natural light to travel between two or more rooms. There's a certain charm associated with these doors, creating a stylish living space that really sets off the rooms connected with them. French are great for opening up space in the house, whilst keeping individual rooms well insulated. They're also extremely versatile, as they work perfectly as either interior doors or back doors opening the way to the garden. Here at Sovereign Windows we offer a variety of different types of French doors, all made to the highest quality. As with all our doors, you can tailor them to fit your home, with a choice of colours and styles and the option of opening in and opening out. 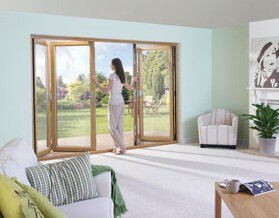 PatioMaster patio doors are the most elegant doors money can buy. Entirely made-to-measure, you can rest assured that these doors have been developed and intensively tested under strict quality control standards. 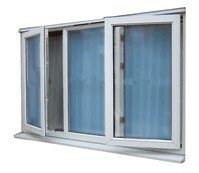 Once installed in your home, they will give high performance with minimum maintenance for many years to come. 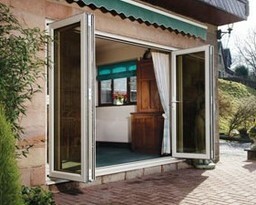 With 2, 3 or 4 pane options, in-line sliding doors are ideal as conservatory partitions or room dividers for maximum accessibility with the low threshold option, and the mid-rail with letter plate option allows the doors to be used as front entrances. Safety first. Our doors are made from steel reinforced top quality PVC-U and they have a secure multipoint locking system with a built-in anti-lift mechanism to keep intruders at bay. With interior glazing and additional reinforcement around the locks, our range is highly resistant to attack. The entire system minimises draughts and features 28mm double glazing with thermally efficient safety glass, to keep you warmer in winter and cooler in the summer. 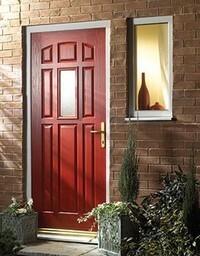 PatioMaster PVC-U doors won't peel, crack, absorb water or rot. And because they're made from the latest generation materials they'll look great for years to come, needing little maintenance and no painting. There's also a strong environmental argument for using our PVC-U. It can be recycled up to ten times, and so your doors won't be going to landfill years from now, at the end of their lives. PVC-U doors don't require environmentally damaging points or solvents either to maintain them - and their tremendous insulation properties keep emissions low.